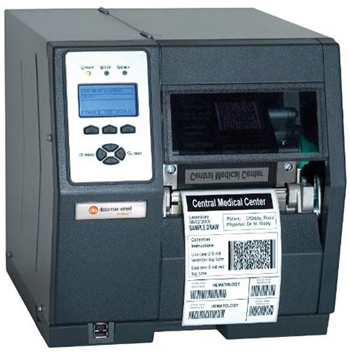 Datamax-O’Neil H-6310X Error Code Ribbon Fault | MIDCOM Data Technologies, Inc.
1) The Thermal Transfer media type has been selected, but no ribbon movement or sporadic movement has been detected. 2) The ribbon sensor values have changed. If using direct thermal stock change the Media Type setting to Direct Thermal; otherwise ensure that ribbon is installed. Press the FEED Key to clear the fault — if the fault does not clear check the Ribbon Hubs for free movement. Also, ensure that the ribbon core fits snugly onto the supply hug, and that the ribbon is not slipping or stalling as labels print. If no binding, slipping, or stalling is apparent press and hold the FEED Key until at least three labels have been output. If the fault does not clear, call for service. 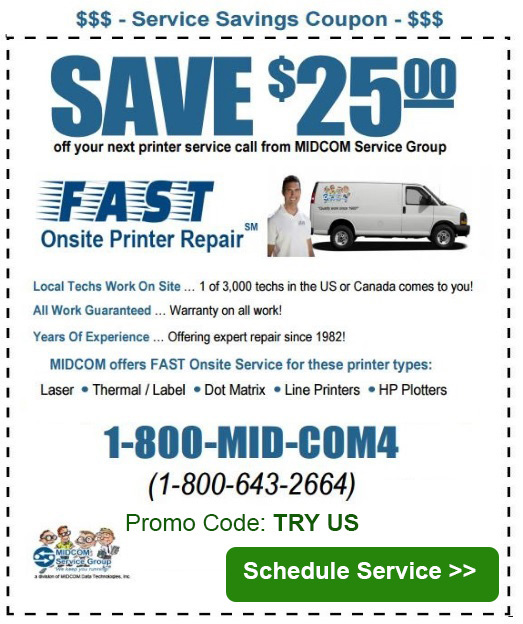 Need A Local Technician To Come Onsite To Fix Your Datamax Printer? 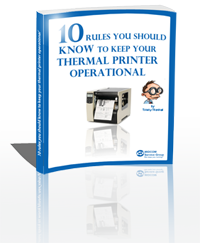 Keep Your Datamax Printer Running!